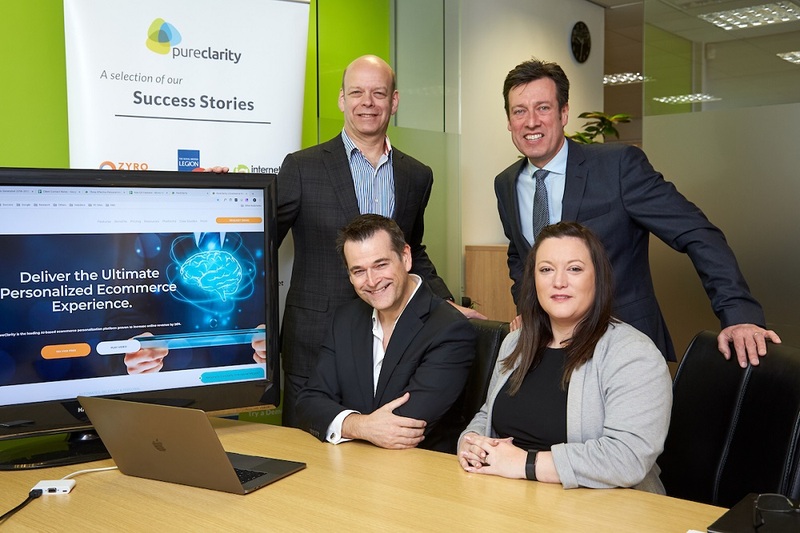 PureClarity – the York-based e-commerce personalisation software platform – has secured a further £750,000 investment from NPIF – Mercia Equity Finance, which is managed by Mercia Fund Managers and part of the Northern Powerhouse Investment Fund. The investment is the second within the past year from NPIF – Mercia Equity Finance and brings the total amount raised to £1.25m. It will allow the company to enhance its product, speed up implementation times and step up its marketing campaigns, creating eight new jobs. PureClarity uses artificial intelligence to analyse customers’ behaviour and deliver a personalised customer experience through product recommendations, personalised marketing campaigns, personalisation within search as well as email, helping retailers to boost online revenue. Launched in 2017, the platform was developed by a five-strong team of IT and digital marketing specialists led by CEO Dr Paul Gibson. It is now used by organisations including the Royal British Legion, Norwich City Football Club and bike accessories supplier Zyro Fisher. David Dickson, LEP Board Member for the York, North Yorkshire and East Riding Enterprise Partnership, said: “Pure Clarity are an example of an increasing number of businesses that are leading innovation in the digital and creative sector, with positive impact for the City of York and wider region. Walkers Commercial Solicitors advised the company on the investment while CMS advised Mercia.